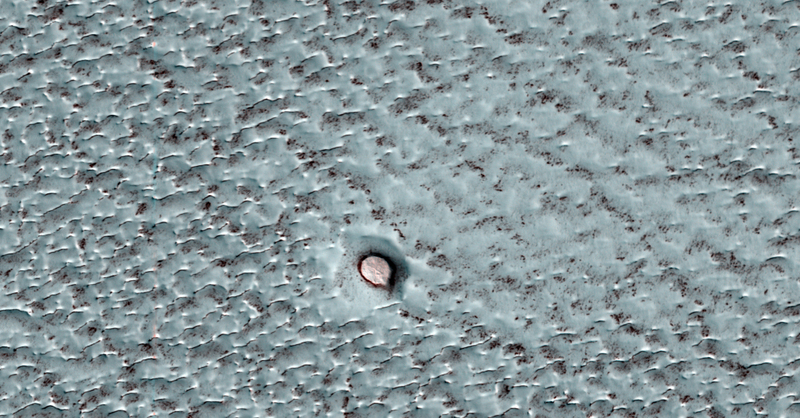 Impact craters on the surface of Planum Boreum, popularly known as the north polar cap, are rare. This dearth of craters has lead scientists to suggest that these deposits may be geologically young (a few million years old), not having had much time to accumulate impact craters throughout their lifetime. 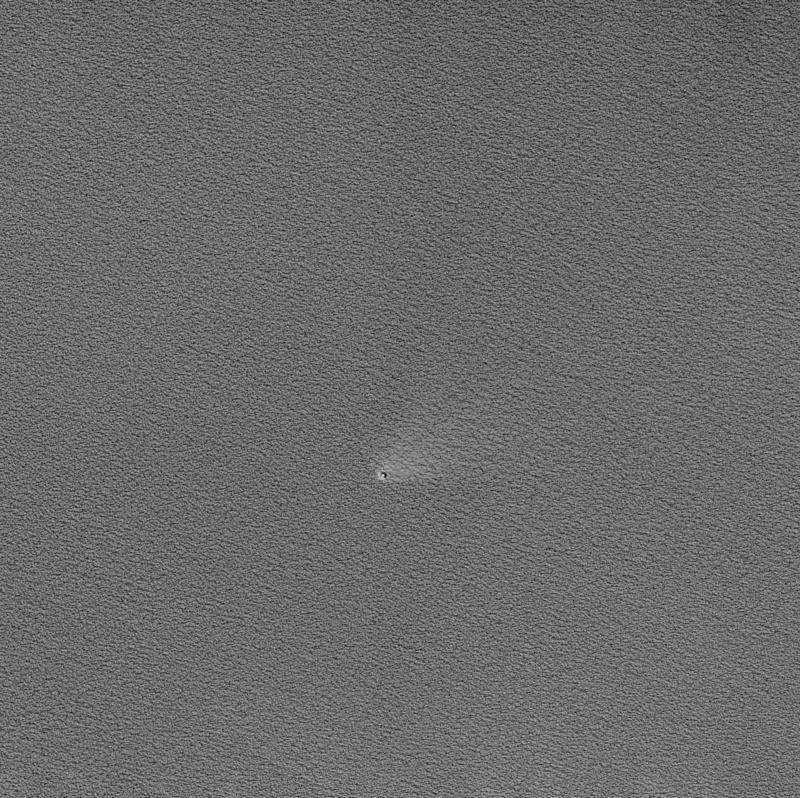 It is also possible that impacts into ice do not retain their shape indefinitely, but instead that the ice relaxes (similar to glass in an old window), and the crater begins to disappear. 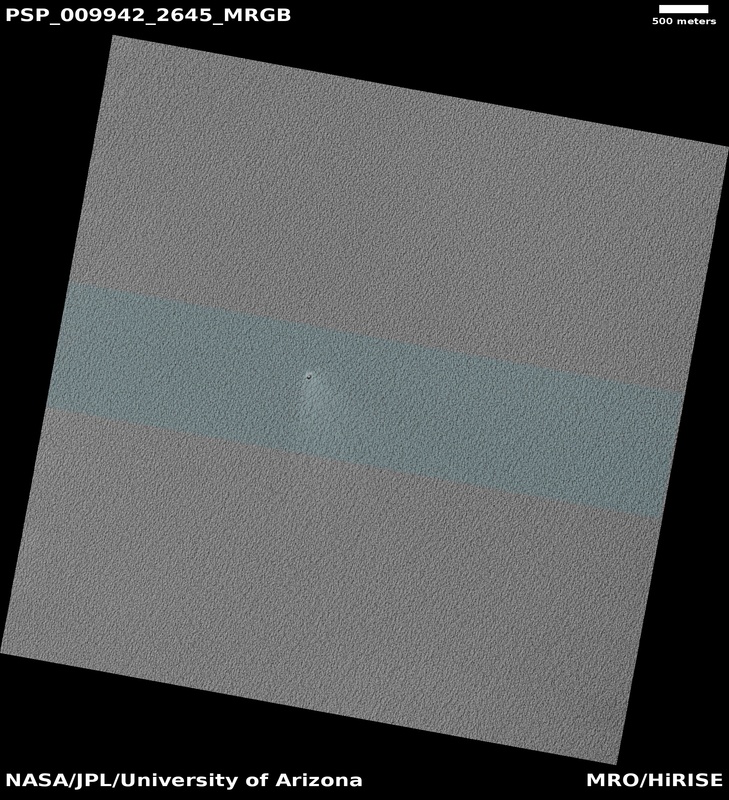 This subimage shows an example of a rare, small crater ( approximately 115 meters, or 125 yards, in diameter). 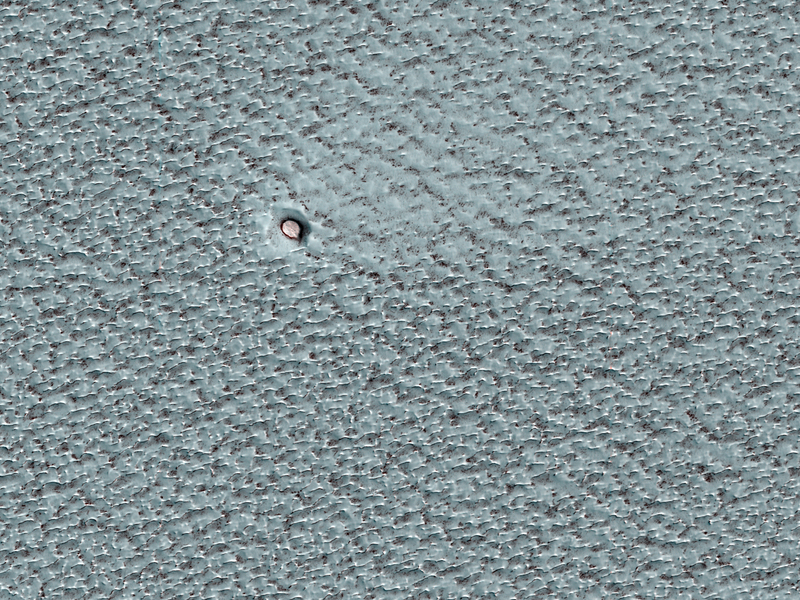 Scientists can count these shallow craters to attain an estimate of the age of the upper few meters of the Planum Boreum surface. The color in the enhanced-color example comes from the presence of dust and of ice of differing grain sizes. The blueish ice has a larger grain size than the ice that has collected in the crater. The reddish material is dust. 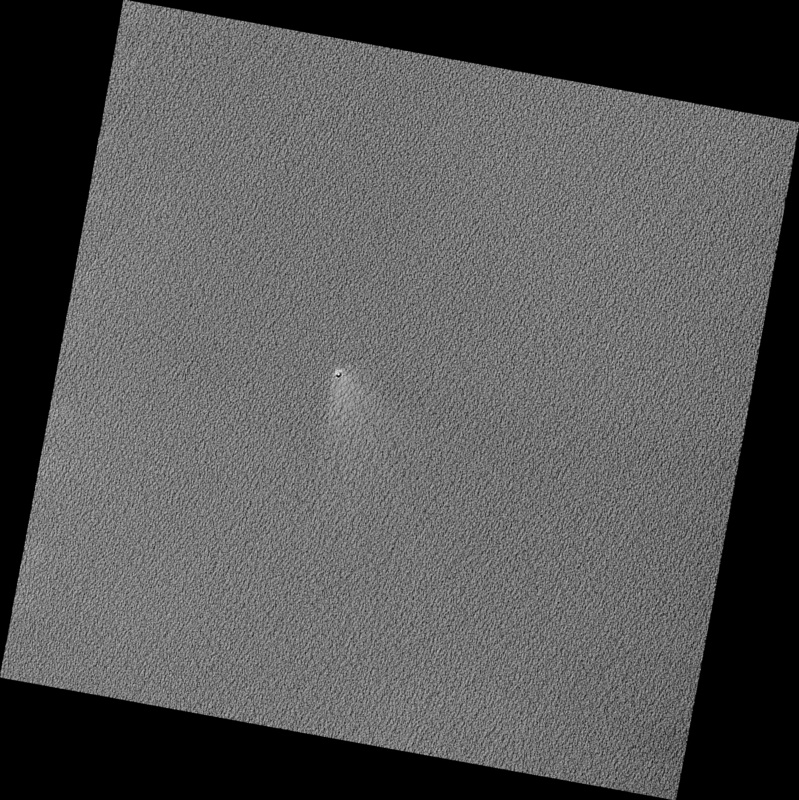 The smooth area stretching to the upper right, away from the crater may be due to winds being channeled around the crater or to fine-grained ice and frost blowing out of the crater.